Monday, September 11, 1837.Springfield, IL. 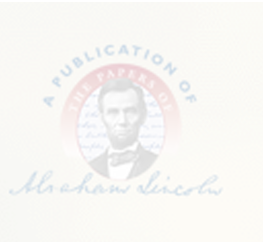 Lincoln writes and files a notice in the Sangamon County Circuit Court that he will take depositions on behalf of the complaintants in the chancery case Wright et al. v. Adams.Herndon-Weik Collection, Library of Congress, Washington, DC.